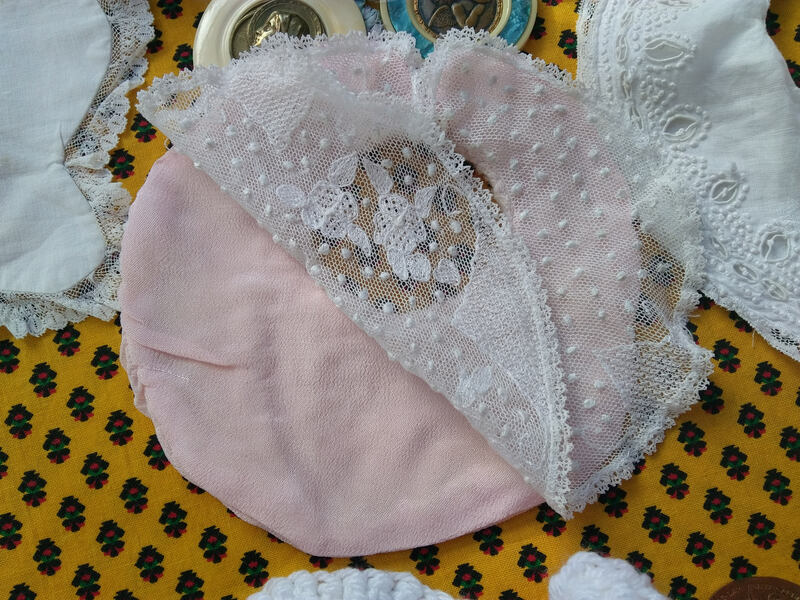 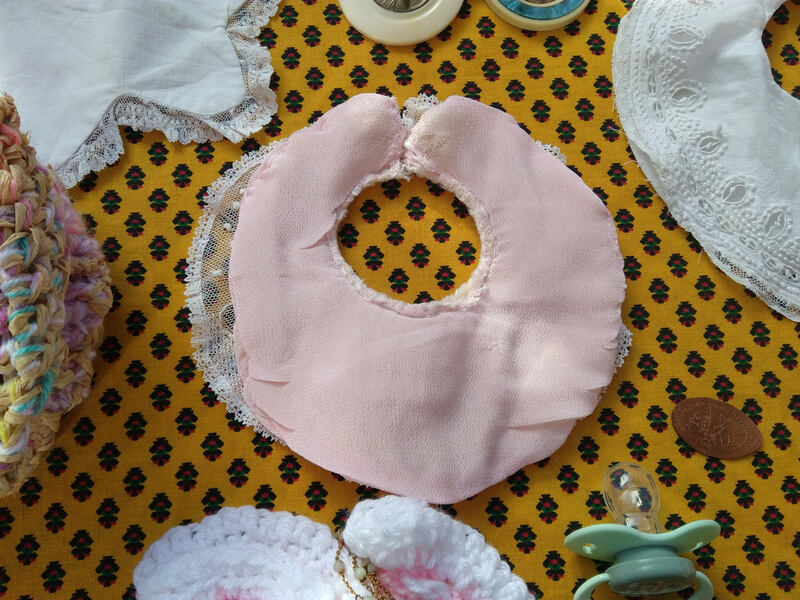 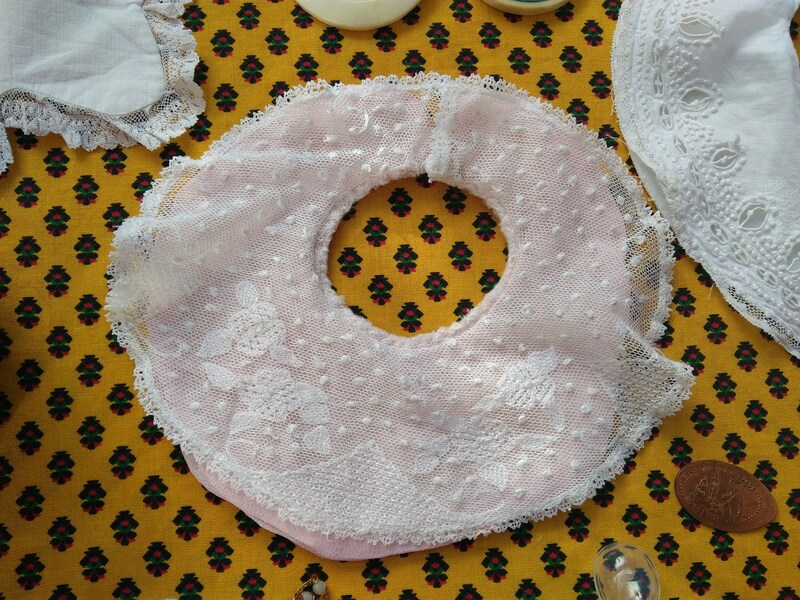 Antique Pink Silk Baby Bib with White Cotton Tulle Cover. 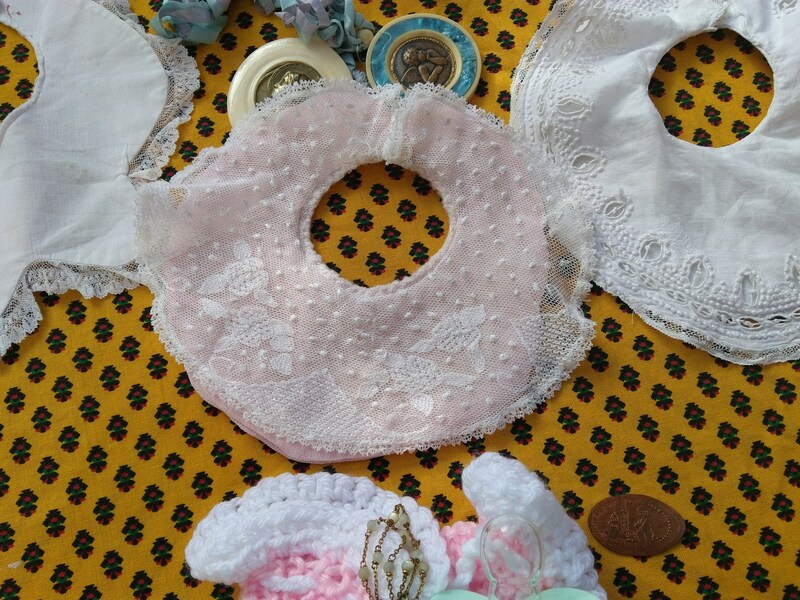 Floral embroidered. 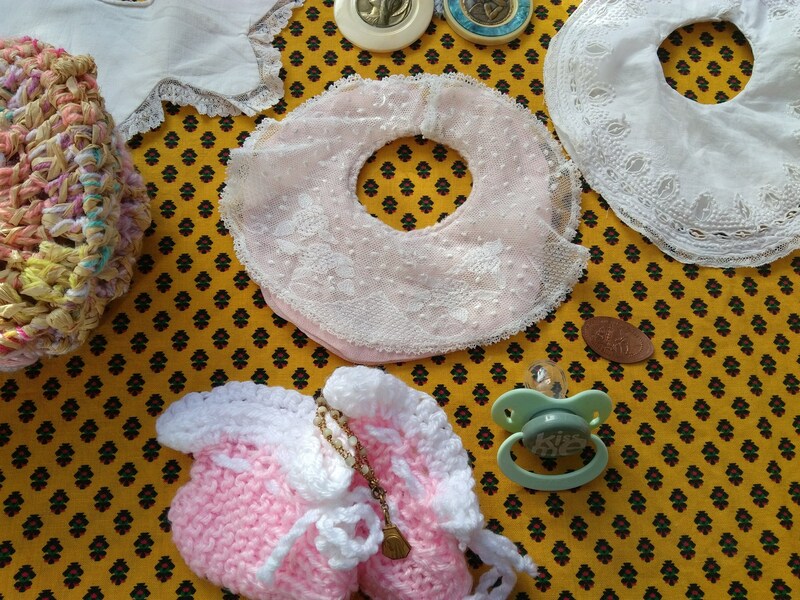 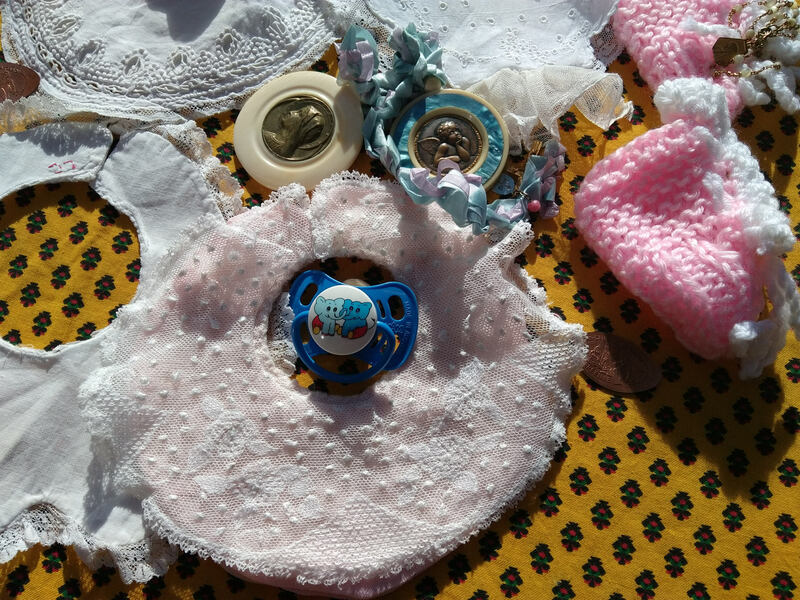 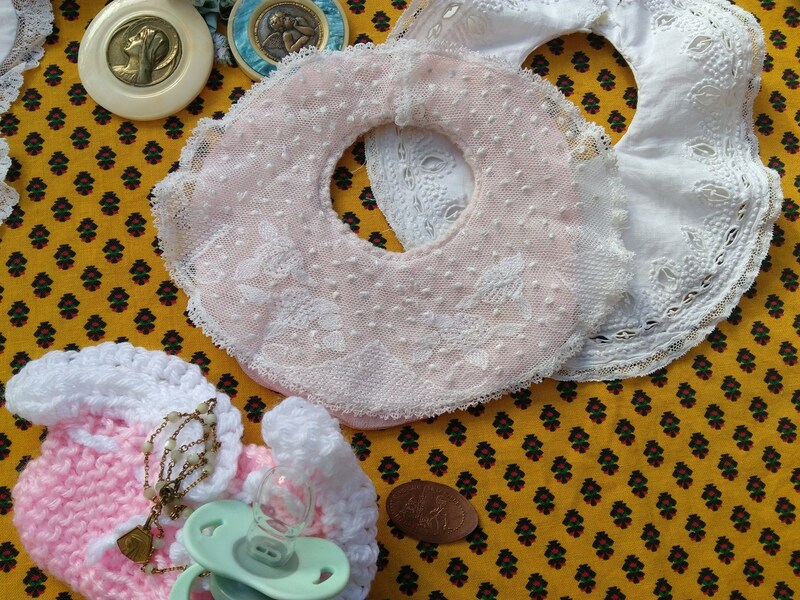 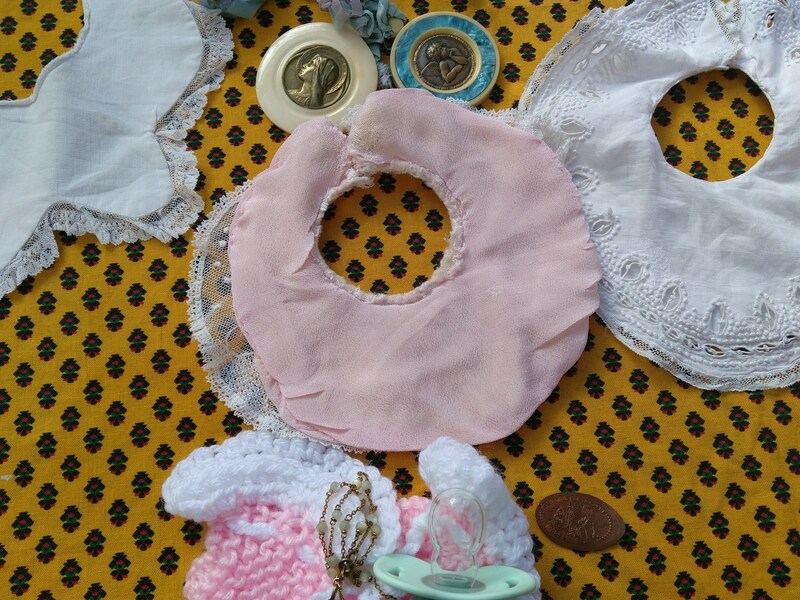 Antique Baby Clothing. 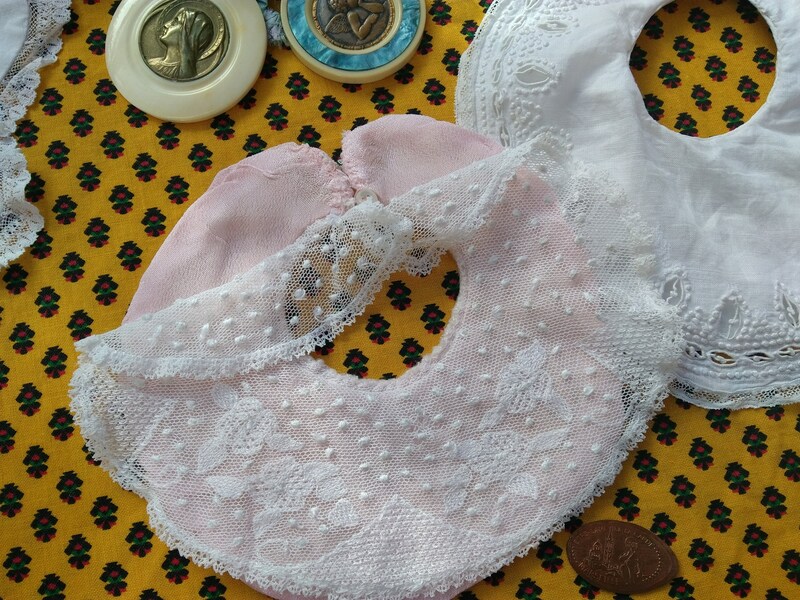 Neck size : 9.5 in.